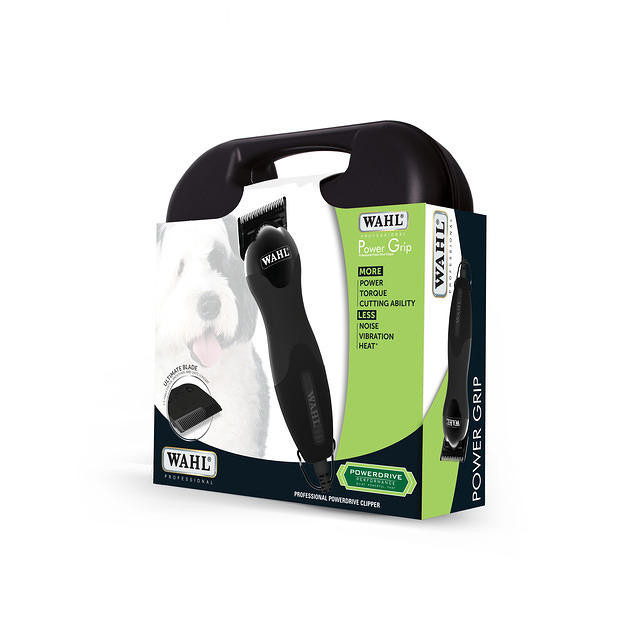 The Wahl Power Grip clipper from Wahl is a specifically designed for professional dog grooming and incorporates a number of features to help groomers. - CONSTANT SPEED CONTROL provides excellent torque and power, automatically giving an extra burst of power when clipping through heavy coats – No need for extra speed buttons when CSC kicks in. - POWERDRIVE PERFORMANCE for unbelievable power and torque for a smooth and even cut on all coat types. - ULTIMATE BLADE provides 2.5 times faster show quality cutting – Designed to cut faster, smoother and last longer. Made from hardened steel that will not snag or leave clipper tracks. The clipper has a powerful two speed motor with noise reduction, which stays cool ensuring the blade remains cool. Weighs just 405g and delivers more power and torque with less vibration, noise, clipper heat and blade heat for maximum cutting performance. Ergonomic design for increased control and rounded front housing for smoother hair flow. Corrosion inhibitive snap on #10 Ultimate blade (1.8mm) with rust prevention. 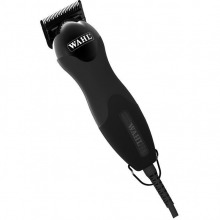 A great addition to the Wahl range and the successor to the popular Switchblade clipper, get yours today.